The following are some of the biggest culprits when it comes to teeth staining. Dark coloured berries (think blueberries and blackberries) are very healthy for you, since they contain lots of antioxidants, but their deep, dense colour can stain your teeth. Coffee and tea contain tannins (acidic polyphenols) that lead to the staining and discolouration of teeth. Their acidity also alters the pH balance in your mouth, causing any acidic food you eat after drinking coffee to cause additional damage, more quickly. Curry is a bright yellow, flavourful spice that is often used in Indian food. Because of it’s vibrant yellow pigment, if eaten regularly, it can stain teeth. The bright red colour, acidity and tendency to cling to teeth inherent in tomato sauce means that it can leave your teeth vulnerable to staining. The dark pigmentation of balsamic vinegar can cause your teeth to stain. It can also cling to your teeth, which can enhance the staining effects over time if it’s not brushed away relatively soon after eating. Sports drinks and pop of all colours can cause teeth to become discoloured due to their inherent acidity. Indeed, anything carbonated is acidic, and this can contribute to holes in your teeth over time… even if the drink is sugar-free. If your tooth discolouration looks more toward grey than yellow, it may be red wine that is to blame. Unfortunately, grey discolouration is a little harder to remove than yellow. The culprits in red wine are the same as those in coffee and tea: tannins. Yes, it’s true; white wine can also cause tooth discolouration. This is because the acids in it cause little pockets to develop on the surface of the teeth that allow other, darker coloured beverages to seep in deeper. Does all this mean I can’t enjoy my favourite foods and drinks anymore? You should continue to eat and drink the foods and beverages you love; life is too short to deprive yourself of these small but significant pleasures! Regular and thorough brushing and flossing will always be your first line of defense against dental health problems, including tooth discolouration. Flush your mouth out with water. Drinking enough water every day helps your mouth produce the amount of saliva it needs to stay healthy. Having a well hydrated mouth helps wash away not only teeth staining foods and drinks, but also cavity causing bacteria and plaque. Eat foods with teeth cleaning properties. Eating certain foods can help remove any lingering food of drink residue in your mouth that might stain. Fibrous fruits like apples and pears can scrub the surface of your teeth when you chew, and so can cheese (which is also a great source of calcium!). But remember, eating these foods should not be considered a replacement for brushing and flossing! Consume foods and drinks that stain in moderation. You can continue to enjoy all the staining foods and drinks listed above, but consider eating them in moderation, and in combination with these staining prevention tips. If your teeth have surface stains, teeth whitening may be a good choice for you. If you have deeper or more permanent stains, dental veneers might be a better choice. 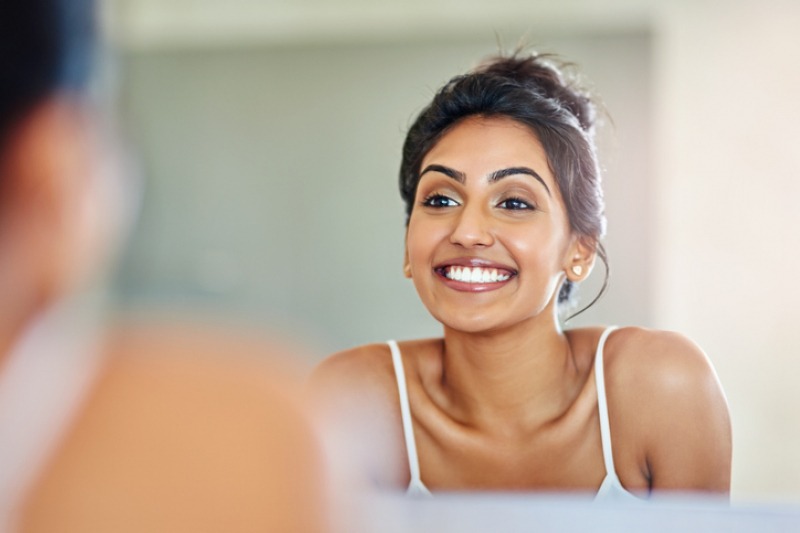 Our dentists will examine your smile and suggest the best cosmetic option to get you smiling with confidence again! Contact our Calgary dental office today to learn more about how to get your smile looking whiter and brighter!